« Deerhoof, Abe Vigoda, Zach Hill, & Death Sentence: Panda! Great American Music Hall. 8/2/09. i used to tumble, but this is much better. 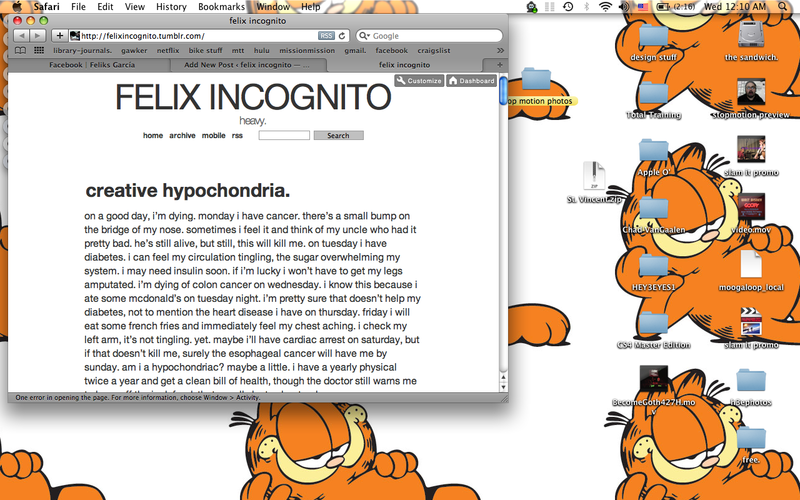 felix incognito @ tumblr was limited. i decided to go long form. This entry was posted on August 5, 2009 at 12:13 am and is filed under i like to talk about myself..	You can follow any responses to this entry through the RSS 2.0 feed. You can leave a response, or trackback from your own site.